Electromagnetic approaches based on inverse scattering are very important in the field of nondestructive analysis of dielectric targets. In most cases, the inverse scattering problem related to the reconstruction of the dielectric properties of unknown targets starting from measured field values can be recast as an optimization problem. Due to the ill-posedness of this inverse problem, the application of global optimization techniques seems to be a very suitable choice. 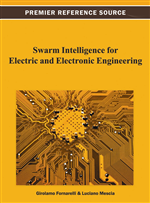 In this chapter, the authors review the use of the Ant Colony Optimization method, which is a stochastic optimization algorithm that has been found to provide very good results in a plethora of applications in the area of electromagnetics as well as in other fields of electrical engineering. Global optimization algorithms are now very common in several areas of electromagnetic engineering and, in particular, in nondestructive testing and imaging. Among them, the most successful ones are the genetic algorithm (GA) (Haupt, 1995), the differential evolution method (DEM) (Price, 1999), and the particle swarm optimization (PSO) (Robinson & Rahmat-Samii, 2004). In the scientific literature, several different implementations have been proposed for such algorithms. Sometimes, these algorithms are hybridized with deterministic methods in order to improve the convergence speed, which is usually rather slow (Pastorino, 2010). The Ant Colony Optimization (ACO) method is a relatively new global stochastic optimization approach that has been inspired by the way ants find the optimal path from their nest to the food. It has been introduced by Dorigo in (Dorigo, Maniezzo, & Colorni, 1996) and successively discussed in (Dorigo & Gambardella, 1997; Socha & Dorigo, 2008). The ACO has been proven to outperform other optimization algorithms in some case, e.g., in the detection of dielectric objects inspected by interrogating electromagnetic waves (Pastorino, 2010). This latter application will be considered in this chapter and the result reported in the mentioned book justify the need for further assessing the use of ACO-based inverse scattering methods for electromagnetic nondestructive testing. However, the ACO has been successfully applied with different implementations in several other applicative fields. Some examples are reported in the following for illustrative purposes. In (S. Xu, Bing, Lina, Shanshan, & Lianru, 2010), for example, the ACO has been used for image clustering applications. In particular, it has been combined with the so-called K-means algorithm in order “to solve the problem of misclassification of K-means and slow convergence of ACO”. The results of K-means algorithm are used as elicitation information of ACO. In the same paper, the K-means-ACO algorithm has been proven to “improve the clustering accuracy for adjusting the misclassification” of the K-means approach (both by using simulations and real data). The proposed strategy is essentially an hybrid approach, which has been considered in several other implementations of the method. In electromagnetic imaging, which is the topic dealt with in this chapter, the ACO has been combined with the Linear Sampling Method (LSM) (Colton, Haddar, & Piana, 2003), which is a very fast method able to retrieve the shape of an unknown target starting by measurements of the field it scatters when it is illuminated by a series of incident waves. In (Brignone, Bozza, Randazzo, Piana, & Pastorino, 2008) and (Brignone, Bozza, Randazzo, Aramini, et al., 2008), the ACO has been combined with the LSM in order to retrieve positions, shapes, and dielectric parameters (electric conductivity and dielectric permittivity) of homogeneous and inhomogeneous targets, respectively. In (Chan, Chao, Jheng, Hsin, & Wu, 2010), the ACO has been applied for optimizing the performances of Networks-on-Chip (NoC), which are “generally dominated by traffic distribution and routing”. By properly exploiting the precise network information for the path selection by using pheromone, the considered ACO-based adaptive routing has been shown to overcome the unbalance and unpredictable traffic load (Chan et al., 2010). In this case, too, the ACO has been combined with a Cascaded Adaptive Routing (CAR) in a hybrid solution. Another hybrid approach has been proposed in the area of energy generation (Olamei, Niknam, Arefi, & Mazinan, 2011), where the ACO has been combined with the Simulated Annealing (SA), which is one of the first adopted stochastic optimization methods (Caorsi, Gragnani, Medicina, Pastorino, & Zunino, 1991). In particular, the ACO-SA strategy has been used in (Olamei et al., 2011) for the distribution feeder reconfiguration considering distributed generators (DGs), in which a cost-based compensation method is applied to “encourage DGs in active and reactive power generation.” The approach has been tested on a real distribution feeder and the robustness of the approach has been verified (Olamei et al., 2011).